Are you trying to stick to an impossible grocery budget? 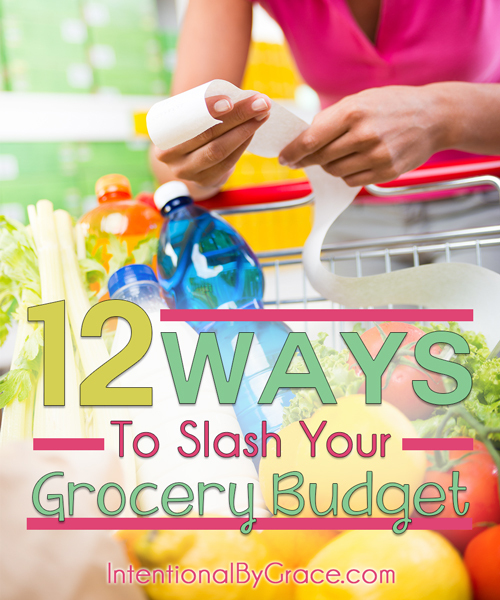 Check out these twelve ways I’ve found to slash my grocery budget that has made a big impact on our finances! When my husband quit his job, we had to take a good hard look at how we were spending our money. Where there was once a surplus was now a teeter totter away from the red line, and what was once an area of much grace (or plain laziness), now became a serious matter of discipline. The grocery budget is one of the hardest places for me to stay disciplined and consistent. My family of four can eat a lot food each week. Since we eat a mostly real food diet, the costs can easily start to add up fast if I’m not careful! 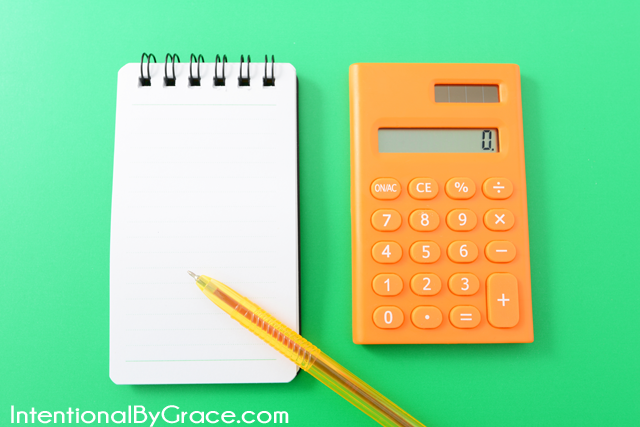 Therefore, as I continually seek to be a better steward of our finances, especially in the area of food, here are some tips and tricks I’ve learned that without fail always help me to slash the grocery budget. You’ve heard it a million times. Menu planning saves you money. It saves you money because less food goes to waste. You waste less food because you regularly take inventory of what’s available and make a plan to use it. Before I make a menu plan, I always inventory my pantry, refrigerator, and freezer as possible. Menu planning consistently helps us to save money and time when we feed our families from what we already have on hand. I Didn’t Know I had a Cucumber in Here! I’ve never kept a price book until recently, and honestly, I wish I had done it sooner. It’s not hard to do, and it has been so helpful to me in discovering the best stores for the best deals on foods I buy most frequently. More than that, I have been able to determine if there is anything I can get cheaper online instead of even having to make a trip to the store! I set up my price book in my favorite daily planner. This means it’s always with me! On the heels of creating a price book is keeping your receipts. I don’t always have time (or want to take time) to write down the prices of everything I buy as I go through the store. Keeping my receipts to record when I get home has helped me to keep my price book up to date. I like to do it during lunch after we’ve unloaded everything and sit down together as a family. The boys are usually pretty tired and quiet after a long morning out from running errands, so it’s a great time to update my price book. When my husband and I got married, I hated budgets. For various reasons, they made me anxious and I avoided them like the plague. 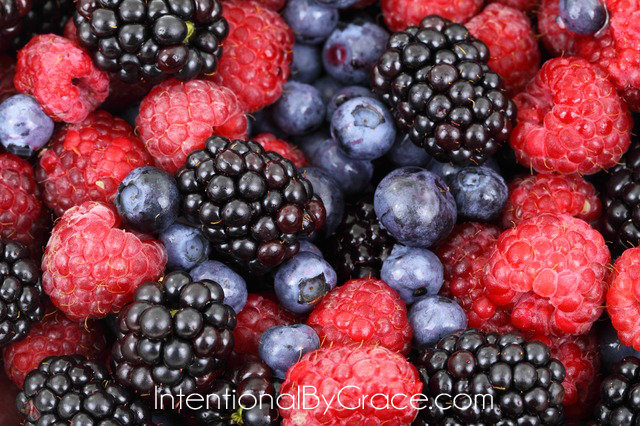 To say it frankly, I didn’t have a right understanding of how to steward my fiances in a healthy, God-glorifying way. Creating a budget was one of the best things we did for our marriage, and when it comes to slashing your grocery budget, knowing how much you have to spend is powerful. On the surface, it doesn’t seem like a great tip, but when you drill down to what your family can afford, moms can do some serious hoop jumping to make it work. We’re good at finding a way! We waffle back and forth between using our debit card and using cash, and without fail when it comes down to tightening the hatches on our grocery budget, we always use the cash system. We learned about using cash from Dave Ramsey back when we were on a mission to get out of debt. We had nearly $40,000 in debt between credit cards, student loans, and car payments when my husband I got married. We barely had enough money to pay our bills each month, but we cut and scrimped and did whatever it took to get out of debt fast! Apart from our house mortgage, we’ve stayed completely debt free each month, choosing to pay cash for everything from our grocery budget to new (to us) cars to furniture to clothes. I can’t always explain why, but using cash works 100% of the time. There is power in knowing exactly what you have and slowly parting with that money each time you stand at the checkout counter. When I get really serious about staying in budget and slashing the grocery bill, I use a calculator during each grocery trip. I determine how much I have to spend, and using my calculator I can get an accurate understanding of how much it will cost at checkout, not just an estimate. Estimating how much I’m spending in my head as I go is never as accurate as the concrete calculations of a calculator. Using my calculator allows me to put back items before I get to the checkout line if I need to because no one wants to get to the checkout counter without enough money to foot the bill. When it comes to real food, buying in bulk is definitely the best way to go when looking to slash your grocery budget. This tip is particularly helpful when it comes to good, quality meats. Grass-fed beef and chicken from the grocery store carries an astronomical price! It’s simply not affordable for my family to eat these meats regularly unless we buy in bulk. Everywhere we’ve lived, we’ve been able to source local grass-fed beef, pigs and chicken. We have also found fresh salmon available to buy in bulk. It hasn’t always been easy to find a good source, but where there is a will, there is a way. Each year my family purchases a quarter cow and about 12 free-range chickens. We’ve also bought pork in bulk, but it’s not been a regular purchase so I can’t say how much we go through in a year. Buying in bulk does require having the storage space to buy this much meat at one time, and we haven’t always had the space. But as soon as you are able, I highly, highly, highly recommend taking the plunge for a deep freezer of some sort. And don’t be afraid to pray for the Lord to provide. He will. We didn’t pay a dime for our amazing stand up freezer! It was given to us because the Lord laid it on the hearts of some missionaries heading over seas to gift it to us before they left. Every time I go out to retrieve meat from the freezer, I always pray for these sweet, sweet friends! Going hand in hand with buying in bulk is taking advantage of freezer cooking. Freezer cooking helps me to use up fresh foods and meats that might go bad otherwise. Plus having food in my freezer for busy days saves us from heading out to a restaurant as a family or grabbing carry out. Meat is one of the most expensive parts of the grocery budget. It is also my family’s favorite part as we are a meat and potatoes sort of family. The truth is that we eat way too much meat in our country, and we are way too picky about what cuts of meat we’ll eat. When you get used to only eating chicken breasts and half pound hamburgers, it’s hard to make this switch. Many of us have no idea what to do with rib roasts or tri-tips or top sirloins. However, we try to do one meatless meal a week and choose cheaper cuts of meat at least one or two times a week. Plus our meat portions are smaller at each meal. This has helped us keep the real food budget at a more reasonable price! We’re a productivity-driven society, and we’ve lost perspective on food. I am convinced that most of our issues with food prices has little to do with how much money we have and more to do with our crazy busy lifestyles. As a family, we’ve been making a lot of changes in our lives that have helped us prioritize what matters most to us. This means saying “no” to a lot of what the world tells us to do, so we can say “yes” to the most important things. 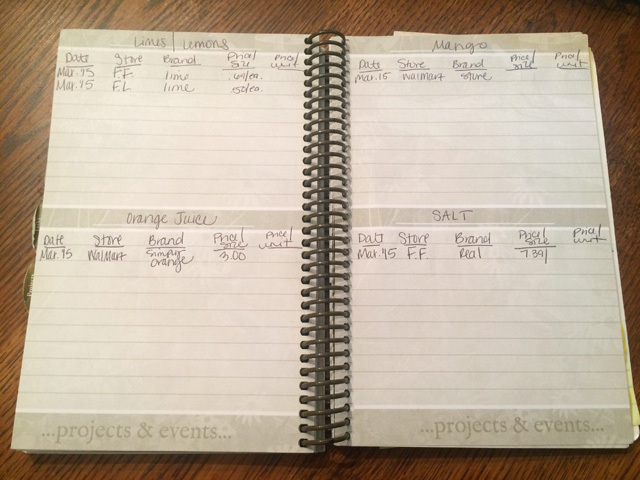 By creating margin in our daily schedules, we’re able to monitor our budget more easily, take our time in the grocery store, and make more foods from scratch. We can grow our own food and visit the farm where our milk comes from. Plus slowing down your lifestyle means that you will linger over your food, chewing more slowly, and thus allowing your body to actually digest what you eat so it stays with you longer! Food that stays with you longer means you eat less. There’s no better way to save money! There is a reason the processed foods and box mixes have become so popular. They’re easy and quick. Therefore, slowing down your life allows you time to make your own mixes, condiments, and even bread. This can save you loads of money in your grocery budget because you can make all of these things from scratch for a fraction of the price of what you would pay for it at the store. 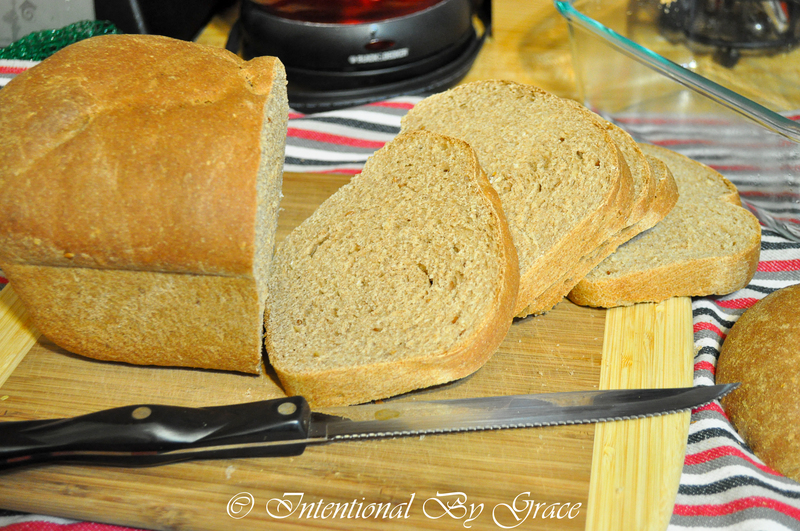 Cooking more from scratch is always a great way to save money and slash the grocery budget! Finally, praying for wisdom shouldn’t be overlooked. Your situation is different from mine. These are the ways I’ve found to slash my grocery budget, and I hope that you have found it helpful to spur some ideas of your own. 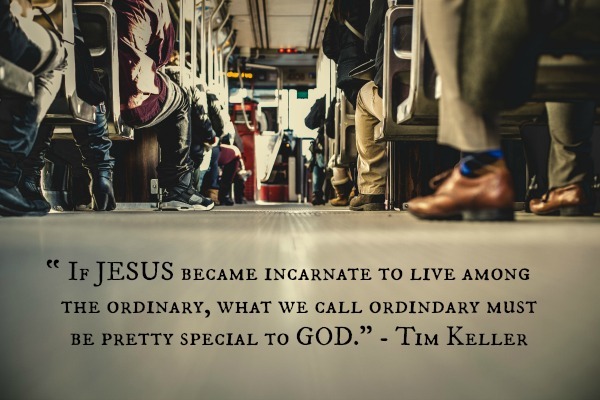 But when it comes down to it, the Holy Spirit is alive and at work in the lives of each of us who have accepted Jesus into our lives as Lord and Savior. The Holy Spirit will teach you and guide you in the ways that will bring glory to Jesus. He wants to help you! No one knows your situation better than Him! Take your grocery budget before the Father and listen to what He has to say! Perhaps you’ll find new ways to save money. Perhaps you’ll find that this isn’t an area you need to even worry about right now. Perhaps you’ll find a peace you haven’t felt in a long time. Then respond to wherever the Lord is leading you to do! Trust Him and follow Him in faith. 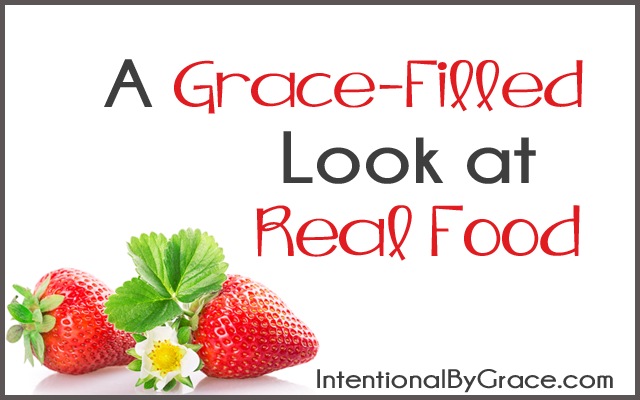 This post is part of the Grace-Filled Look at Real Food series. You can see all the posts here. What about you? What are some ways you’ve found to slash your grocery budget? Thank you for posting these great ideas! It seems like it is so much more expensive to eat healthy food than junk food (fresh fruit versus potato chips). I am going to have to try some of these ideas – especially the price book. I use almost of the things you list, but instead of taking a calculator to the store, I use my price book and meal plan to calculate the cost beforehand on my grocery list (in openoffice calc/excel). The prices are on my grocery list at the store and I note any price differences on my list. It is quick, but still gives me my total before the checkout line. I have such a hard time with budgeting at the grocery store, most of the time because I hate having to stick to a budget. However, these seem like really great tips – some I hadn’t considered before and will certainly put to use with my family. 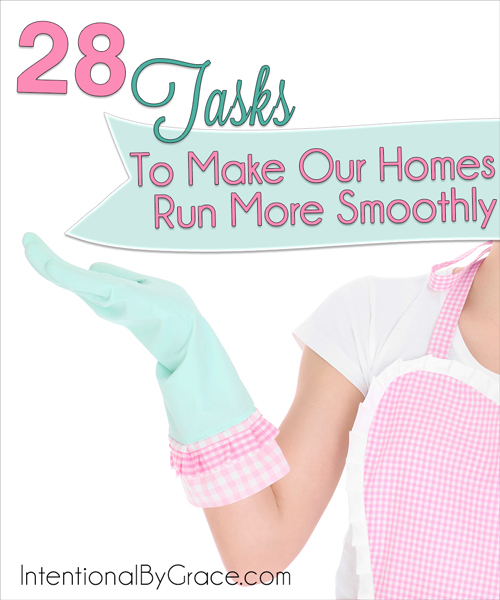 This is a great list and is full of practical advice. I do most of the things on your list to help keep our grocery budget under control. I have never kept a price book but you’ve convinced me they’re a great money saving tool and I’m going to give it a try! Seriously, so many good ideas in one place. This is the best list I’ve ever read – and I even think it’s doable! Thanks so much!! Price book for most of the items I buy regularly. Also index card price record for the drug store items. Those prices creep up without one noticing.